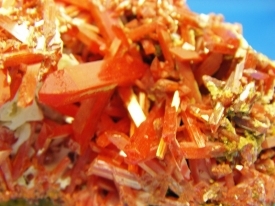 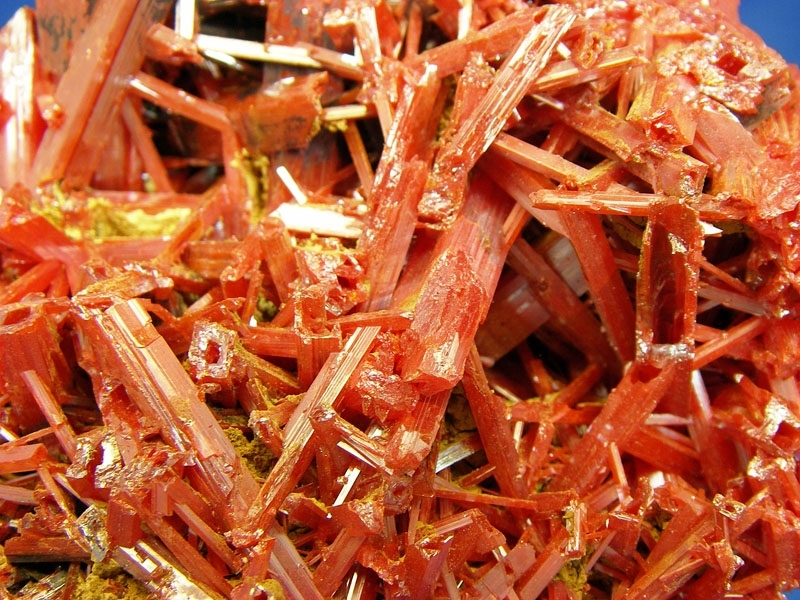 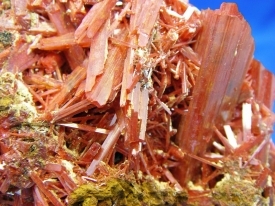 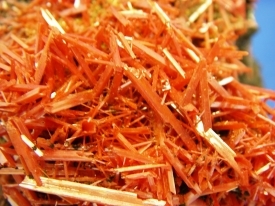 CROCOITE CRYSTALS FROM TASMANIA, AUSTRALIA. 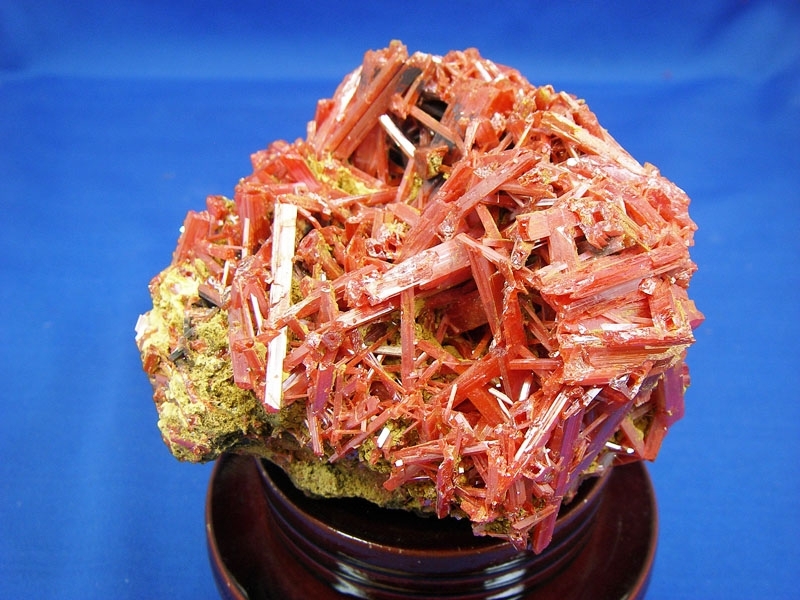 BEAUTIFUL RED CRYSTALS DISPLAY. 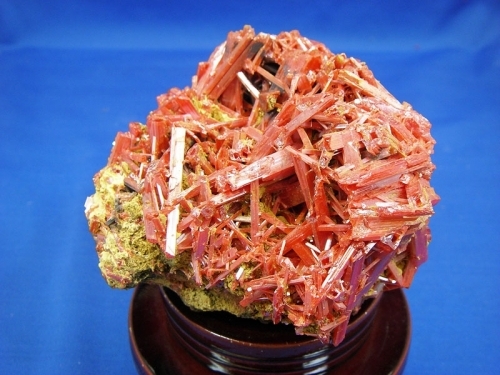 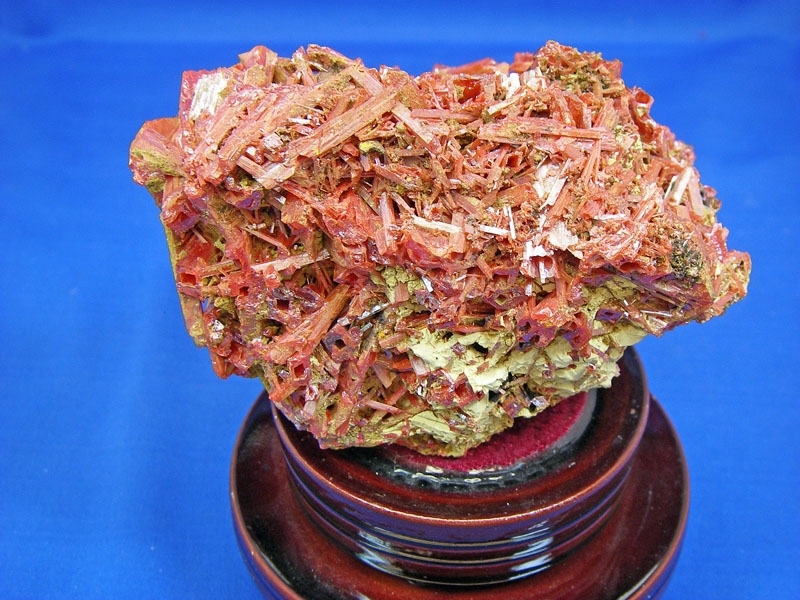 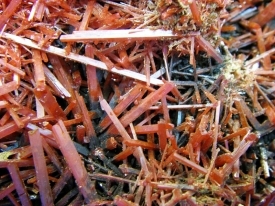 CROCOITE CRYTALS WITH GIBBSITE. SPECIMEN SHOWN IS 4 1/4" W x 3" D x 3 1/2" H, AND WEIGHS 1.72 POUNDS. 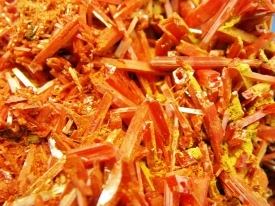 LEAD CHROMATE CRYSTALS FROM DUNDAS ZEEHAN MINE, TASMANIA, AUSTRALIA. 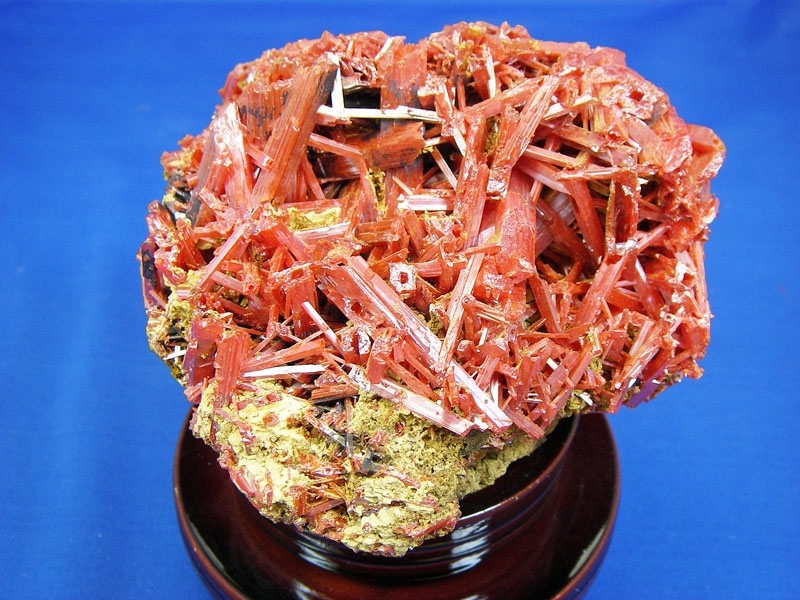 SPECIMEN IS ALMOST ALL LARGE CROCOITE CRYSTALS! 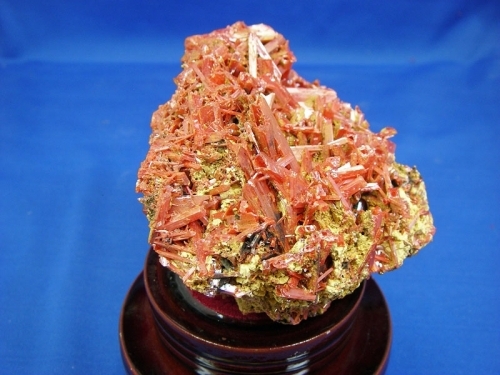 THIS IS A BIG, BEAUTIFUL DISPLAY PIECE FOR YOUR COLLECTION!